← New aspirin risks exposed, time for Moxxor! There’s so much that is done to our cats that is accepted and mediocre—so much so that few ever challenge it, especially Western trained veterinarians. But some of these habitual protocols done so mindlessly and often have turned out to be quite harmful for our cats. One of those is the routine use of chemical flea products. Let’s look at what we see advertised today routinely. Flea collars (whether herbal or insecticidal) don’t work! They don’t kill fleas, and they don’t even particularly repel them, except for the area right around the collar. The grocery/pet store variety contains concentrated toxic chemicals, and the herbal ones are irritating to odor-sensitive cats. Topical (spot-on or pour-on) flea preventatives are associated with liver disease and other adverse effects in cats. Permethrin, pyrethrin, or pyrethroid-containing products intended for dogs are extremely toxic to cats and have caused many feline deaths. Putting a dog flea product on a cat causes neurological signs (twitching, disorientation, seizures) that ultimately kill about 10 percent of cats. Healthy cats eating a balanced, properly supplemented raw meat and raw bone diet are much less susceptible to fleas and other parasites. If your cat is experiencing a flea problem, work on improving your cat’s overall health and deal with the immediate parasite situation. This is a “holistic” approach in the truest sense of the word! The conventional thinking that fleas are the problem is like saying “flies cause garbage” just because the two are often found together. It is the unhealthy state of the animal that attracts the parasites, just like garbage attracts flies. Fleas, those nasty little blood suckers, are tough, highly evolved parasites that, once entrenched, are not easily eliminated. Fleas are attracted to warmth, moving shadows, and the vibrations from foot (or paw) steps. When dealing with fleas, you need to protect your cat and reach fleas and larvae hiding in carpets and yards. Even exclusively indoor cats can get fleas, which travel in on peoples shoes and clothing. (Keeping your cat indoors, however, will eliminate the risk of ticks.) And removing shoes at your front door keeps fleas out and helps keep other germs out as well. Adult fleas spend most of their time on the cat, where they feed on blood several times a day. Flea eggs are slippery and quickly fall off the cat and onto the cat’s resting areas, floors, rugs, bedding, and furniture. The eggs hatch and go through several intermediate stages before emerging as adults in as little as two weeks, but they may remain dormant for months. That’s why even if you get rid of the fleas on your cat, reinfestation is a common and very frustrating phenomenon. Try this one-two-three punch to eradicate fleas from your—and your cat’s—life. Use an ultra-fine-tooth flea comb daily. Pay particular attention to the neck, tummy, and base of the tail, which are favorite flea hangouts. Have a glass or bowl full of warm, soapy water at hand to drown any fleas that turn up. Bathe your cat. Bathing your cat will drown a lot of fleas, but apply soap around the ears and neck first to keep the fleas from rushing up to the cat’s head and face. The herb Erigeron Canadensis (Canadian fleabane), found in some herbal shampoos, will help kill fleas. Bathe no more than once a week. See CelestialPets.com for erigeron shampoo. Floor/carpet treatments such as diatomaceous earth (the fossilized shells of one-celled organisms called diatoms) and boric acid–derived powders will kill flea larvae, primarily through dessication (drying). Exterminators use borates; you can either hire professionals to treat your home or do it yourself. For a serious flea problem, it may be worth paying a professional since their work is guaranteed. Vacuuming is very effective against flea eggs and might even catch a few adults. To keep the eggs from hatching or the fleas from escaping, discard the bag immediately or use a flea spray in the vacuum bag or container, (not on the cat) either before or right after you vacuum. Beneficial nematodes eat flea eggs and will help control flea populations outdoors. Garden-grade diatomaceous earth is very effective. Concentrate on areas under shrubs and decks and other cool shady spots where animals (such as rodents, raccoons, and outdoor and feral cats) have access. Be very careful about the so-called natural approaches to flea treatment such as the use of essential oils topically or internally for cats. Wintergreen and birch oils contain methyl salicylate, the same chemical compound in aspirin. Monoterpene hydrocarbons pinene and limonene, most commonly found in the citrus and pine oils: lemon, orange, tangerine, mandarin, grapefruit, lime, bergamot, pine, spruce, and any fir oil. Many household cleaners and even pet products have these latter substances in them to make them smell nice to the owners. Hydrosols are the appropriate form of essential oils to use in cats. 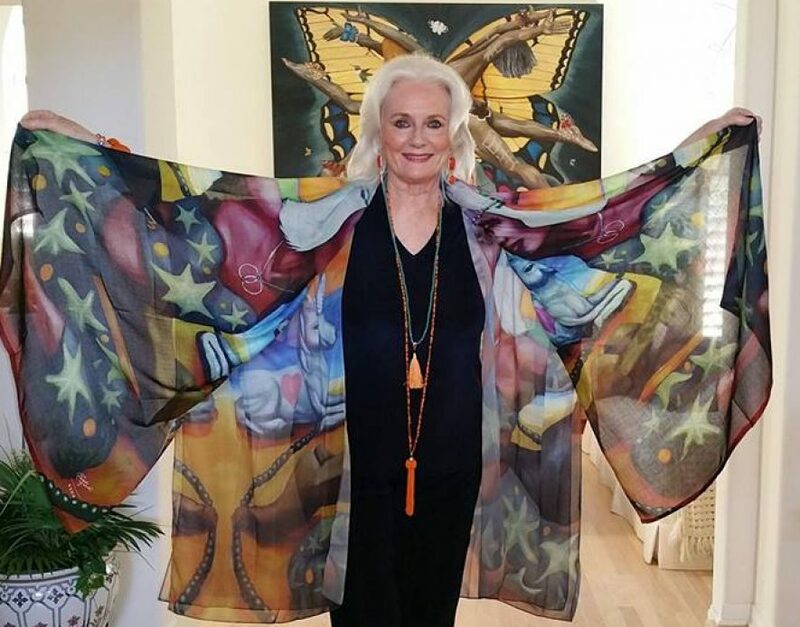 Regardless, the cat should always be given a choice as to whether to “partake.” Forcing a cat to ingest oils that have not been tested for safety in their species seems most unwise and many essential oil people will do their best to tell you it is ok. However do not ever attempt this without a vet’s supervision at best. 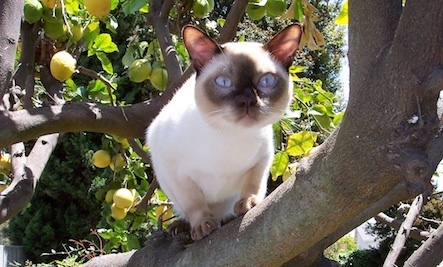 See my post on Aromatherapy for Cats here at Care2. Let’s only use foods and supplements that are safe and proven to be safe and effective for cats. The best oils for cats come from animal sources such as those that possess anti-inlammatory benefits such as Omega-3s from marine lipids which also help treat flea bite dermatitis. 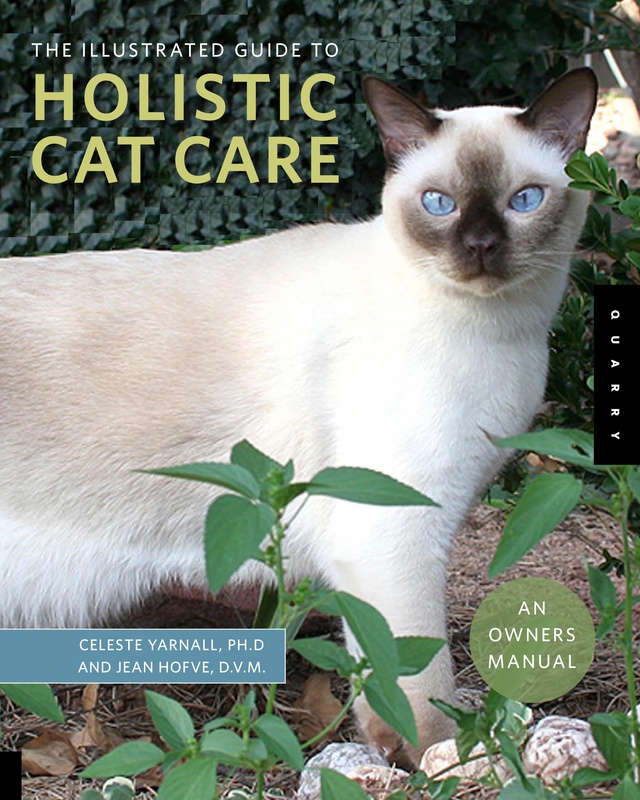 For more holistic protocols for cats and information see The Complete Guide to Holistic Cat Care, An Illustrated Guide by Celeste Yarnall, PhD and Jean Hofve, DVM.